Observation: Just yesterday the scripture was almost the same, don’t be afraid. Yet even this morning I’m worried about my job, being able to pay off my house before I can retire, about the repetition of my days and not accomplishing much for my Lord. I can’t seem to live a day at a time as my God instructs me to do. Why can’t I just believe God has everything under control? Application: I need to live each day without worrying about the next. To believe my Lord that has saved and healed me is on the throne of my life and if I let him he’ll take care of everything. I have this moment to live and if God allows it I’ll live the next until it is time to go home. May I live it for my God. Prayer: Dear Lord take this fear from me and strengthen my faith. Show me how to live for you. 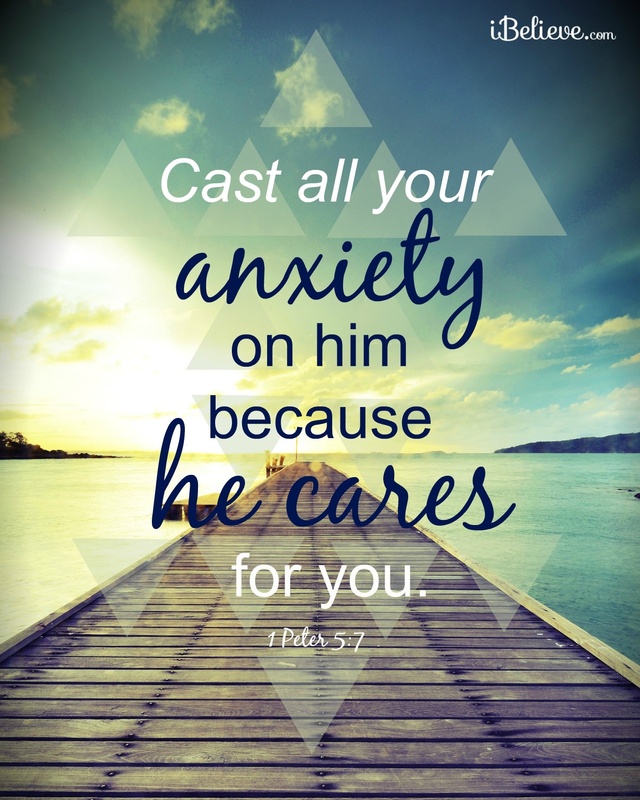 Take this worry, laziness and unbelief from me and increase my faith in you.